Manufactured by the New Jersey based Pantone, Inc. the Pantone Colour Bridge Guide has the appearance of a giant fan of shallow rectangular strips. Each strip contains a set of various different shades of a particular colour. 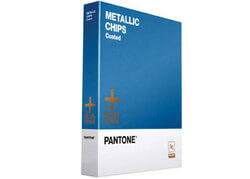 Adjacent to each Pantone colour, the nearest 4 colour equivalent is also reproduced. Note – whilst some Pantone colours can be reproduced from 4 colour process printing, many cannot be exactly replicated. The 4 colour match is important for use within the printing industry (since most printing presses will use the 4 colour CMYK – Cyan, Magenta, Yellow and Key Black – core colour technology). The Pantone Colour Bridge Guide also helpfully reproduces the CMYK percentages used for the screen tint. Designers can be assisted with their colour choices because the guide also provides conversion formulae for multiple colour spaces. If you work as a designer or printer, you will already be acutely aware that it is vital to maintain a uniformity of colour. The Pantone Colour Bridge Guide uses state of the art technology in order to create standardized shades with absolutely the highest degree of accuracy. The shades are printed on bright white paper, similar to that which is favoured by modern designers. Finally, the cards have been designed to be durable, allowing a designer to transport and use them easily as guides when meeting potential customers. Note however, that due to the effects of light, it is recommended that these guides be replaced about every 12 months.